‘Frozen 2’ Premiere Date, Spoilers: Will Elsa Die at The End for Killing Her Parents? “The Blacklist” Season 6 Episode 5 will be continuing on the trial that Red (James Spader) is currently going through. The previous release saw a significant development proceeding in the major plotlines, with Liz (Megan Boone) uncovering a crucial date, Entertainment Weekly reported. While Red managed to wipe the data within Dr. Koehler’s (Kenneth Tigar) dossier, Liz’s hacker friend was able to fish out Oct. 3, 1991. On that fateful day, a patient went under the plastic surgeon’s knife and came out as Raymond Reddington. So in “The Blacklist” Season 6 Episode 5, Liz will be trying to uncover who exactly this patient was. Is he the same person masquerading as Red? What other secrets will the date offer? That all remains to be seen. Meanwhile, the synopsis of “The Blacklist” Season 6 Episode 5 hints at the upcoming trial of Red. The Concierge of Crime has previously said that he’s going to representing himself at court given that his lawyer has been compromised. Right now, the odds are favoring Red with the unauthorized search providing an advantage to win the judge’s decision, TVGuide reported. On the episodic plot of things, Red will put Liz and the task force on a case when significant financial backers mysteriously die. There’s no doubt that this is one of Red’s tentacles. It’s been shown time and time again that despite the master criminal appearing to help the authorities, he’s actually furthering his own interest. “The Blacklist” Season 6 Episode 5 will undoubtedly apply the same narrative to its story, a technique that fans have come to love. What really makes the series great is that despite Red winning every single time, his complicated methods of doing so makes the story gripping. 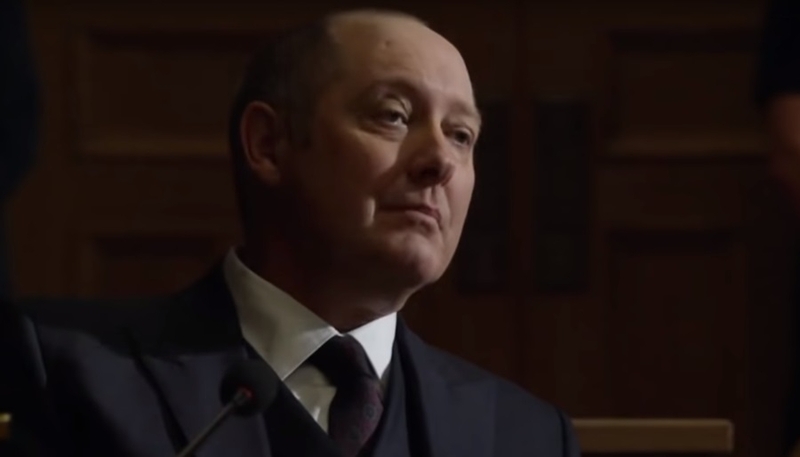 With James Spader’s acting and the way Red is written as a character, it’s not surprising that the crime drama series managed to acquire a large following. As for when “The Blacklist” Season 6 Episode 5 will air, it’s been scheduled to drop on Feb. 1.